Color: Black. Package includes: Great Quality, Trailerable Snowmobile cover , storage bag. 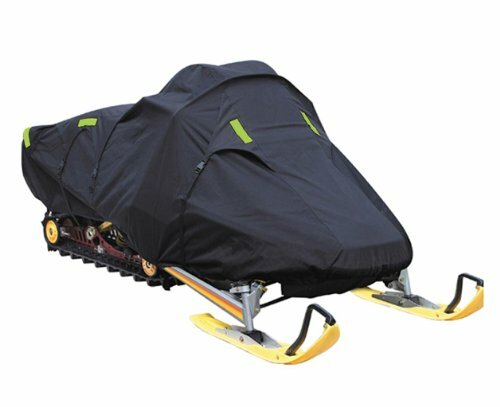 Our snowmobile covers are manufactured from technologically advanced 600 Denier, woven polyester material to protect your snowmobile all year round. This cover has a fully elastic bottom for secure fit and to to keep the cover in place, plus it is equipped with heavy-duty traileing system ans fuel tank access door. Equipped with hood liner on the inside. View More In Covers & Storage.